Finding a good nail polish formula is actually one of the hardest tasks in life. Getting the consistency right, the colours perfect and the longevity decent is no easy feat for beauty brands out there and only few have mastered it. One of which is Sally Hansen, a brand dedicated to all things nails and nail polish - you would think they would have had to conquer something in the nail world! 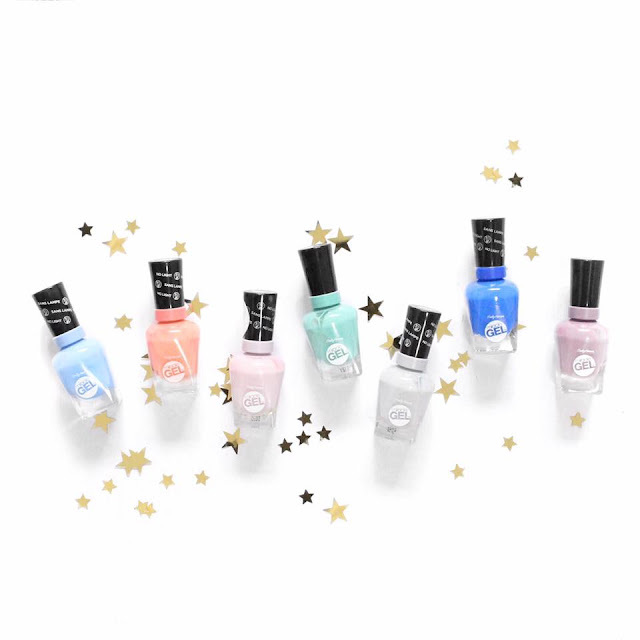 Along come their Miracle Gel range; a part lacquer, part gel nail polish collection that doesn't need to be cured with a UV light. Keep reading if you want to see my collection and hear my (obviously obsessed) thoughts on the range! 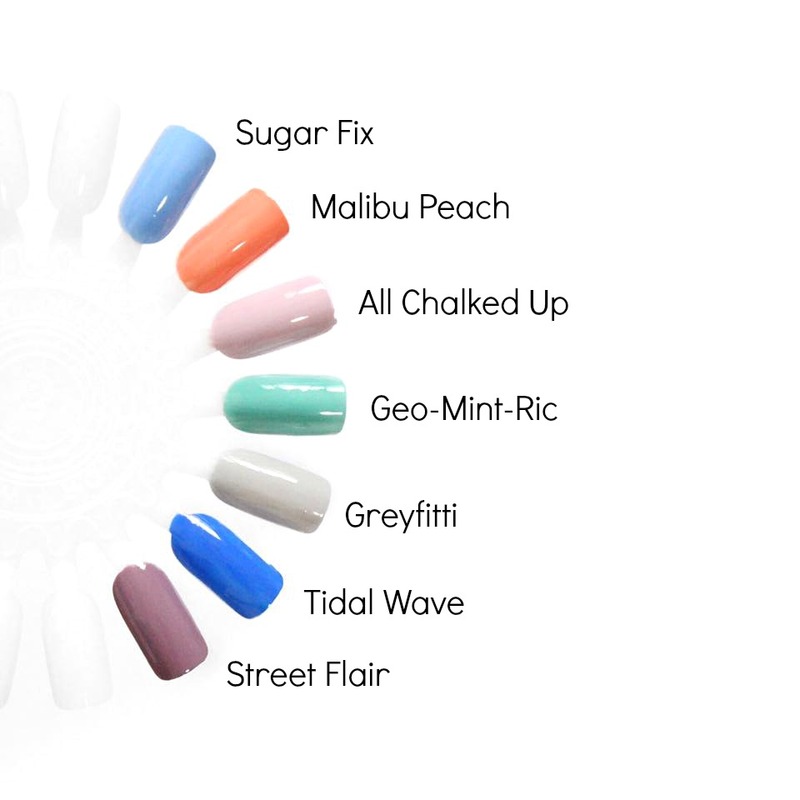 These nail polishes are apart of a two-step process including a specially formulated top coat. Just apply your coloured shade, then use the top coat on top for up to 14 days of awesome nails. Let's be real... no nail polish alone lasts 14 days and these aren't any exception. But, they do last a good week without looking too shabby by the end of it. I'm the type of girl who reapplies nail polish at least once a week, so as it looks decent for the majority of the time, I'm pretty pleased. The actual formula of the polishes is next to none. I adore it! Yes, the lighter more pastel shades that I own do require two coats but the actual consistency of the polish is great. Very smooth, even in application and they somehow still pack a punch with opacity. The colour selection is one of my favourite things about this range. There are so many! From light nudes to deeper shades of purple and blue, you are guaranteed to find a colour you love. I actually really love all the shades I own. I find them all to be very wearable and they just seem to look great on my hands. My favourite one is easily Tidal Wave - a rich ocean blue that just looks incredibly unique and interesting, I get compliments everytime I use this shade. I also really like Street Flair for a muted purple colour to add interest to my nails! Have you tried the Miracle Gel range before? I've been obsessed for a couple years - I don't know why it has taken me this long to let you guys know!